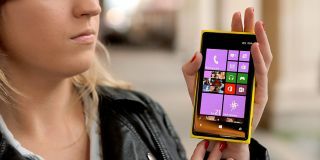 Official: Microsoft Lumia to replace Nokia smartphone brand | What Hi-Fi? It's official – the Nokia smartphone is soon to be a thing of the past, with Microsoft confirming that it will be replacing one of the longest-standing mobile brands with the Microsoft Lumia moniker. The US computing giant has reportedly told The Verge that Nokia France will be the first country to adopt the new branding across its social media accounts, completing the transition from Nokia. And after the Microsoft Lumia rebranding is completed in France, other countries – including the UK – will follow suit over the coming weeks, with all Christmas marketing to carry the Lumia name. The move doesn't come as a huge surprise, with Nokia marketing chief Tuula Rytila suggesting as early as April that plans were in place to "to create a unified brand across Lumia and Windows". It followed the completion of a €5.4bn (£4.3bn) deal that saw Microsoft buy the Finnish company's Devices and Services division. Microsoft later called time on Android-powered Nokia handsets.